Till now owners of blogs (Blogger) had used third party real time stats which have some limitations. 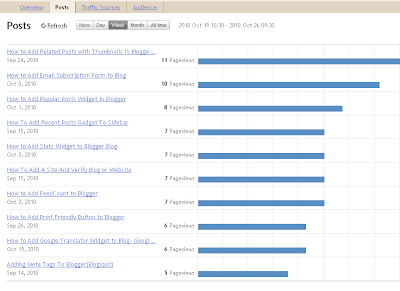 Recently blogger had added a new feature called Stats ie., real time stats for blog. It provides information about traffic sources, audience, posts. It provides inforamtion about that day, previous day, last month and all time history through which you can understant how your site is performing. How to see real time stats in Blogger? Step 1: Sign into you Blogger account. 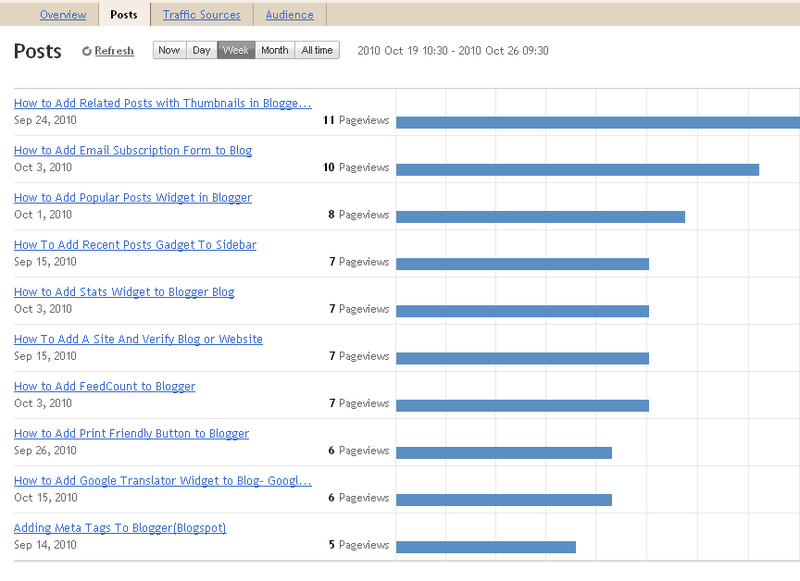 Step 2: Choose the blog for which you want to see real time stats from dashboard. Step 3: Click the stats link of that blog from the dashboard as shown below. 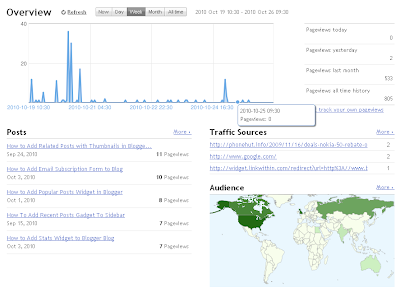 It redirects to overview of stats tab which shown a overview of blog statistics. Screenshot of Stats: Click on the image to view in original size. Screenshot of Posts: Click on the image to view in original size. Next one is traffic source option which tell about source of traffic like referring urls, referring sites, search keywords. 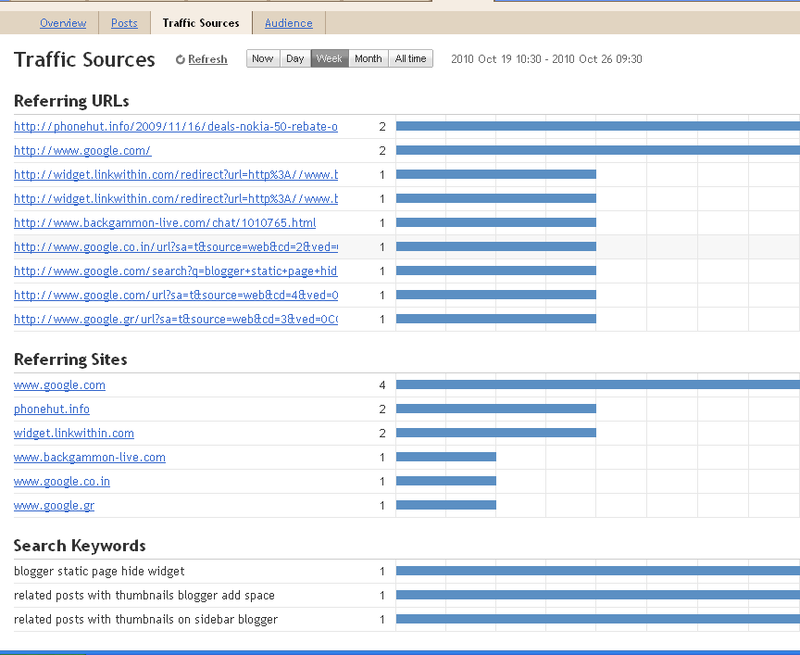 Screenshot of Traffic Source: Click on the image to view in original size. 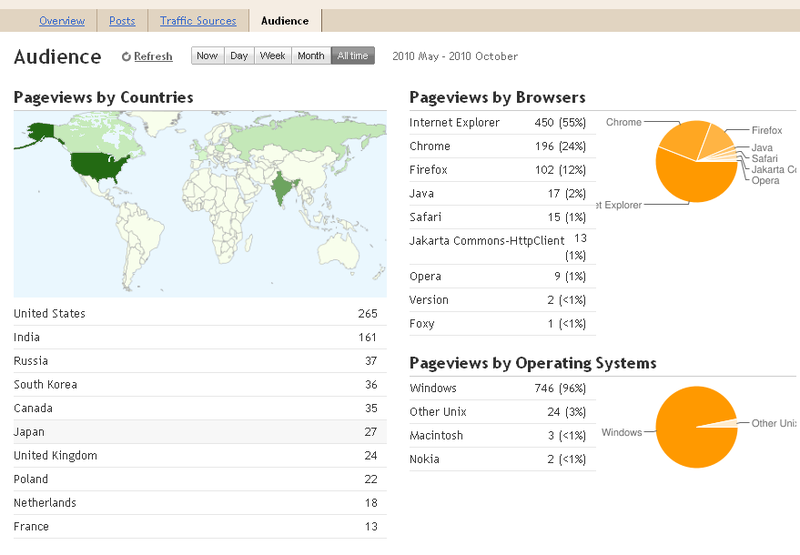 Last one is audience option which tell about pageviews by countries, pageviews by browsers, pageviews by operating systems. Screenshot of Audience: Click on the image to view in original size. 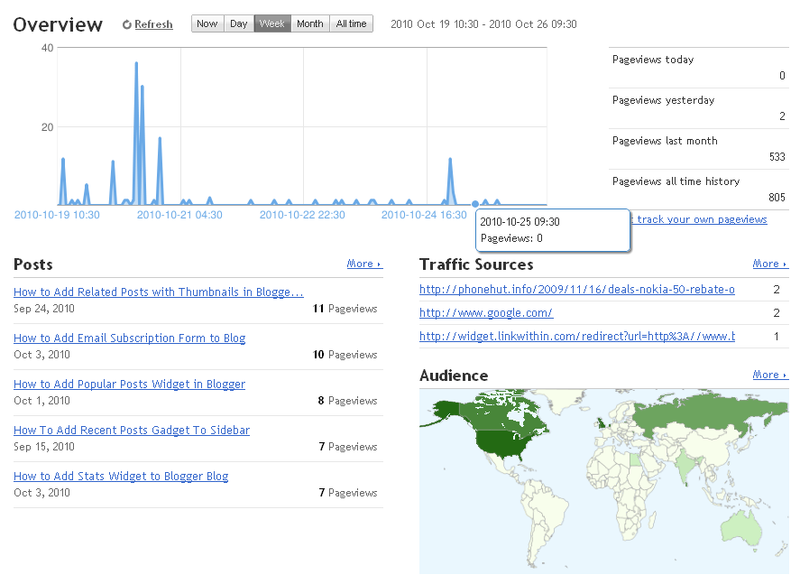 From real time stats every one can know about the blog performance through which we can analyse and improve our blog traffic. That's all to say about real time stats in Blogger.